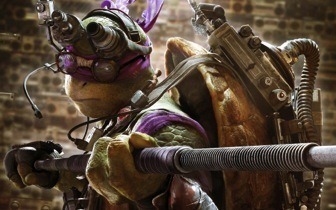 Which Teenage Mutant Ninja Turtle’s Personality Do You Have? Can a turtle have a personality? 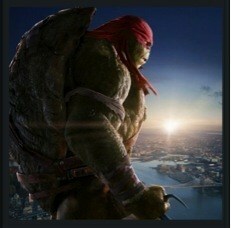 If it’s a Teenage Mutant Ninja Turtle, you bet! To celebrate the release of the new Teenage Mutant Ninja Turtles Movie, let’s take a look at the DISC personalities of everyone’s favorite heroes in a half shell. Though not the leader of the group, Raphael is definitely the group’s alpha. On a good day, you might think of him as brave, fearless, and resourceful. On a bad day, he’s bossy, impulsive, and hot headed. Slice of pizza in hand and shouts of “COWABUNGA!,” Mikey is a turtle that’s always ready for a good time. He had tons of energy, and is playful and fun. Like many people that share his I personality, he’s the life of the party. But, when it comes time to be serious, he sometimes has trouble finding his focus. He’s disorganized, but only because there are so many other ways he’d rather be spending his time—Dancing, skateboarding, playing video games, and most importantly, wisecracking. Mikey is the comic relief in serious situations, and is an optimist that instinctively looks at the bright side of things. Fun and social, he craves acceptance from the world outside of the sewer. Mikey is much more comfortable being the center of attention than he is hiding in the shadows. Leo is the heart of the team. 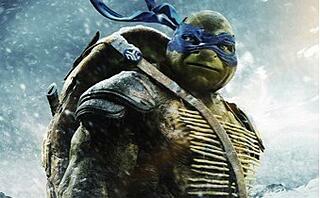 Loyal, brave, and responsible, Leonardo is the leader of the team, but not by choice. His mentor Splinter chose him to be the leader of the group because he knew that Leonardo could be trusted to always act in the best interests of the entire team. He is protective of his brothers, sometimes acting like more of a parent than a sibling. Like a true S personality, he is the glue that holds the group together— Without Leo playing mediator to the rest of his brothers, the team wouldn’t stand a chance. Even though they sometimes grumble about being given orders from Leo, the other turtles respect him, and work to rise to meet the high bar Leonardo sets. Leo is motivated by family, justice, and a strong moral code. Despite his tendency to sometimes second-guess himself, he takes his role as leader very seriously. Every team needs a brain, and for the Turtles, that’s Donny. He’s smart and philosophical. True to the personality of a C, he is meticulous and thinks problems through before making decisions. He would be the most likely to spend the evening reading a book, lost in research. (While Mikey ate pizza, and Raph and Leo sparred.) Though he can hold his own in a fight, he is more inclined to towards gadgets, mechanical devices, and mathematics. Leonardo: "Donnie, what are the odds of surviving this?" Which personality style are you? Find out here!